A rugby player has spoken of how he had to wear dark glasses after being concussed during games. Auckland-born Ben Herring, who plays for the Leicester Tigers, spoke to the Daily Mail about the issue after retiring at 29 for fear of damaging his brain. Mr Herring explained that he had been hit hard on the head four times in the last year and that it had affected his eyesight so badly he needed to wear dark glasses and could not look at computer or television screens. A neurosurgeon told him that it would be too great a risk if he were to continue playing. Mr Herring then quit, pointing out that he and his wife have just had a baby and he needed to look after himself for his child"s sake. 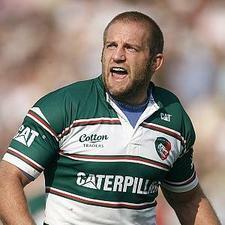 According to his Leicester Tigers profile, Mr Herring is 5"11" inches tall and weighs 15 stone 3lb (97 kg). He is described as "a hardworking openside flanker".